At this year's CP+ show in Yokohama Japan we made time to sit down with several senior executives from major manufacturers, including Sigma. In this interview with Kazuto Yamaki, CEO of Sigma, we spoke about the challenges of making lenses for ever-increasing pixel counts, the company's 'small office, big factory' philosophy and why the company is continuing to make cameras. Kazuto Yamaki, CEO of Sigma, pictured at the CP+ show in Yokohama, Japan. Are you more focused on high-end products than mass market? For economical reasons we need to focus on higher-end products. We make all of our lenses in Japan. The yen is weaker now than it was so our production cost is higher than if we made our lenses in other countries like China or elsewhere in Asia. But the second reason [that we're focused on the high-end] is that it's our pleasure to make high quality products, rather than high-volume products. 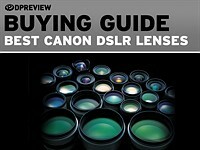 So you make more profit on the higher-end lenses? It depends on the product. Even some high-end products have small profit margins because they're produced in smaller volumes, for example. 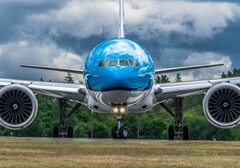 The biggest difference from mass-market products is that if we add value to our high-end products, the customers appreciate it and will pay for it. In mass-market products the price is the most important part of the specification. Do you see Sigma as a luxury, premium brand? My dream is not to be a luxury brand as such. I want to produce high-quality products at a reasonable price. But in terms of quality, yes - we want to be seen as a premium brand. Is there any particular technical innovation that you can think of which has made it possible to produce higher-quality lenses than you could in the past? Compared to decades ago, of course computers help a lot. The turnaround time for ray-tracing calculations is much faster, so our engineers can try out many many ray traces. When I joined the company it took more than 30 minutes to make a single calculation but today we can do it in less than one minute. That's the biggest difference, but that's the same for all companies. 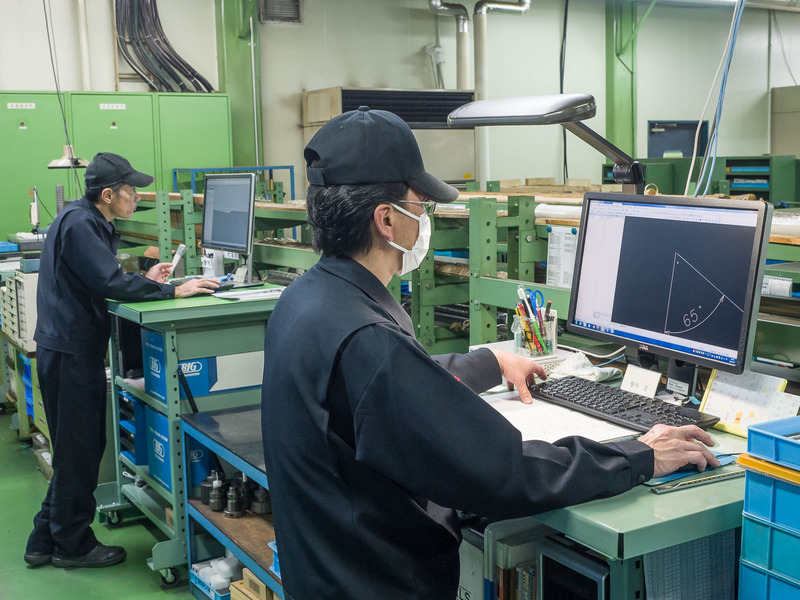 An engineer in Sigma's prototyping department in Aizu, Japan, working with a computer on the design of a potential future lens. The other thing is our factory. Our factory has a very high capability when it comes to polishing very difficult glass elements. Optical design is always in conflict with [engineering] conditions. 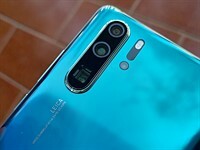 Conflict for example with the mechanical specifications, such as size and weight, and other things like the need for optical stabilization, as well as manufacturing capabilities. If engineers in a factory cannot polish a particularly difficult piece of glass that is called for in a lens, the optical designer has to give it up. Our factory has a lot of ability when it comes to complex designs so they can [ensure] high yield [even of complex designs]. When did Sigma start using computers? I don't know, a long time ago. Maybe 30 years ago - something like that. At the time, computers were so slow that they didn't change everything overnight. Optical designers still needed intuition and experience to design good lenses, and they had to stick to specific ways of constructing different types of lenses [they were more restricted to known lens designs]. But today, calculations are so fast, engineers can try all sorts of lens designs [and experiment]. Also, modern optical engineers can benefit from past designs. There is a huge database of lens designs in the industry, so engineers can check in advance what kind of design might be suitable for a specific lens. How does Sigma deal with focus calibration issues with different DSLR manufacturers? We cannot change the camera firmware, but we can adjust the firmware of our lenses. If customers send us their camera body and lens, we can calibrate them. That's the number 1 service request from our customers. But a lot of people don't like to do that because it's time consuming, so as an alternative we provided the USB dock for fine-tuning. If you use micro-adjustment in the camera body, it shifts focus by the same amount for all subject distances and regardless of focal length, in the case of a zoom lens. But with the USB dock you can shift AF according to subject distance and focal length. It works very well. But if you have four focal lengths and four subject distance ranges, that's 16 values that the user has to enter. That's a lot. Are you interested in automating or helping to automate that process? That's the challenge. We need to provide a better solution because it's not perfect for some customers. For someone with focus issues, first of all we recommend the customer to send in their camera and lens, and we'll do it for them. What's the biggest challenge to lens design, in your opinion? There are many challenges, but the biggest challenge is increasing resolution in cameras. Cameras will have even more pixels in the future, and not many manufacturers can make lenses that match the resolutions of those cameras. Canon's new EOS 5DS and 5DSR offer 50MP sensors, which according to Mr Yamaki, will really challenge a lot of lenses. 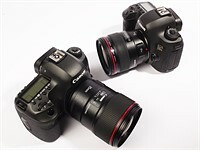 Are you confident that your Art-series primes can resolve enough detail on the new Canon 50MP sensors? I think so - of course it depends on the aperture value, but we believe that our new 24mm F1.4 is the best lens of this focal length on the market. 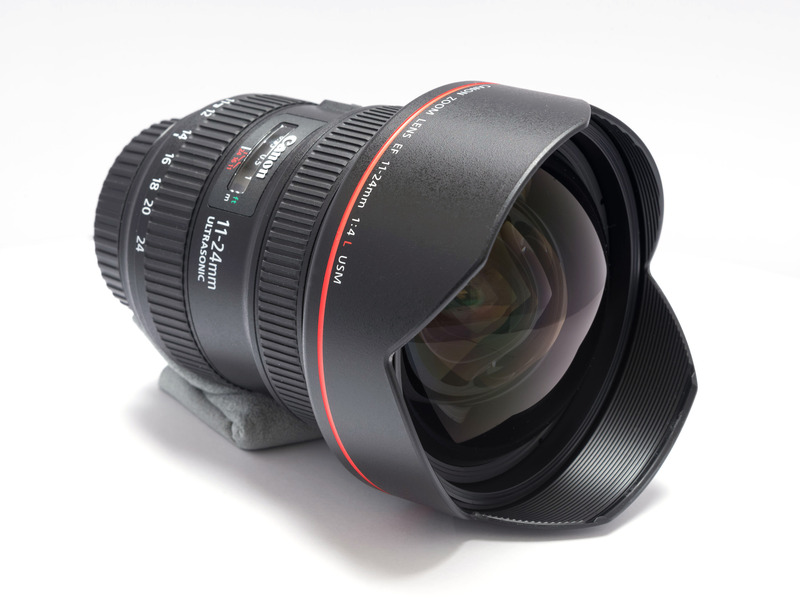 So if it isn't usable on the new Canon cameras, there isn't another 24mm lens which is. Can you tell us more about your Foveon A1 lens testing tool? We developed our own MTF measurement instrument, which we call the A1. We use our own Foveon sensor inside it. Before we developed the A1 we had MTF measurement instruments which used conventional sensors, but the sensors weren't as sharp as we needed. So we switched to our own Foveon sensor, and now all of our Global Vision lenses are tested on the A1. Is it difficult to correct for certain formats like Sony's full-frame Alpha series which have very short flange-back distances? Is that one of the reasons why we're not seeing Sigma lenses for those systems? No - we want to increase our lineup for mirrorless cameras, but it's just a matter of priorities. Can you give us an idea of your current priorities? 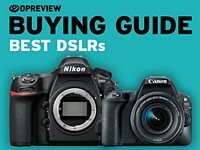 DSLRs first, particularly Canon and Nikon, since most of our customers use those systems. And after that mirrorless. Sony FE-mount. The new Sigma dp0 features a 21mm equivalent lens. Mr Yamaki tells us that even though his company loses money on cameras, the experience and knowledge gained in their creation is extremely valuable to the company when it comes to designing interchangeable lenses. 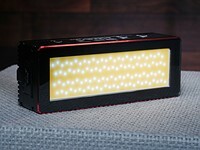 You mentioned Foveon - you just released a new DP-series camera, the dp0 Quattro. It's fair to say that Sigma's cameras are not mass-market products. 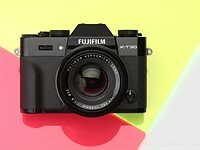 Are you happy that they're fairly niche cameras or do you want them to be more popular? Business-wise I'd like to be more mainstream, but we know our customers. We need to differentiate our cameras from others. If we made conventional cameras like other companies there's no benefit to our customers. They're not a huge group but we know what our customers want, and the dp0 is a perfect camera for them. So our first priority is to please our existing customers, and then slowly increase and expand the customer base. 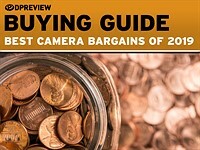 Can you give us a general idea of how profitable your cameras are compared to your lenses? The camera business doesn't make money at all. It costs a lot to develop the sensors, so including these costs we're always losing money. So in strictly business terms it's not a good business. But I want to continue the camera business for as long as possible for two reasons. First of all it's our dream to be a camera manufacturer. That's a long-time dream of my father's. Secondly, in making cameras, we're accumulating a lot of experience and technical knowledge which helps us make better optics. We have some of the sharpest cameras in the industry, which means that in order to support our cameras, we have to make really sharp lenses. Which is good for all cameras. Also we had to develop our own processor to process images from our sensor, which allowed us to develop our new tools for MTF measurement. So your latest lenses are better as a consequence of your camera development? Yes, I think it has contributed to us being able to make such good optics. So in business terms maybe it doesn't make sense but in terms of technical experience and knowledge it makes perfect sense. There were some rumors going around that your 24-105mm zoom lens was discontinued. Obviously the rumors were untrue, but has that lens performed as well as you'd hoped? I'm happy with the optical performance of the lens as a standard zoom. This kind of lens is among the most difficult to design because it covers wide-angle, through standard to telephoto. The ideal construction of a wideangle lens compared to a telephoto is very different. So we need to compromise to some extent. And the 24-105 has good performance for that type of lens. In the market, its performance hasn't been excellent, but it's OK. The rumor about discontinuation came about because we can't supply it in enough volume. We forecast demand for this lens as being very low, so we didn't plan to make many. But at some point they all sold out, and we then suddenly had a lot of orders placed - but then it takes four months[to restart production]. With lenses like this, which you expect to be relatively low-volume products, do you routinely manufacture them in batches? Yes. Some popular lenses like our 35mm and 50mm primes and some popular zooms are produced continuously, but some more niche products are produced in batches every three or four months. The 'Art' series of Sigma F1.4 primes now comprises three focal lengths - 24mm, 35mm and 50mm (shown here). The 35mm and 50mm are optically superb and it looks like the new 24mm will follow suite. Obviously Sigma focuses on quality, which means big lenses, but are you interested in creating optics which are a compromise between quality and size? That's the Contemporary line. Lenses in that line are a compromise between size, weight, price and performance. They're not low-end products but we're trying to create a balance. For the ‘Art' series lenses we're prioritizing performance over size, weight and cost. A lens like Sony's Zeiss 55mm F1.8 for the FE mount is optically superb but quite small and light. If you were to design 'Art' lenses for that system, would you try to strike a different balance between quality and size, and try to make the lenses smaller? Yes - that's also one of the segments we're interested in. Another motivation for us to make new lenses is to differentiate between other manufacturers. Sony already has a 55mm F1.8 which is nicely sized and reasonably priced, so why make another? But F1.4 compared to F1.8 is a huge difference, so we'd either make a F1.4, or something different. What do you want to do next, in the 'Art' lineup? The base concept is the best possible quality. The other challenge is to make something innovative which has never existed in the past. 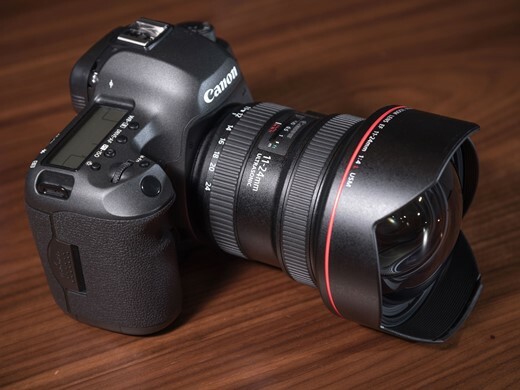 Actually, the new Canon 11-24mm is very impressive. That's a really good lens. It's expensive though. Canon's 11-24mm is the world's widest zoom lens for full-frame, and it seems that Sigma is itching to get into this market segment again. 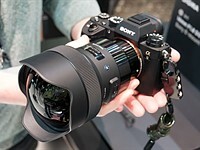 Do you think there's an opportunity for Sigma in the ultra-wide zoom segment? Yes, we need to [get involved]. We're a pioneer of wide-angle zoom lenses. In the 70's we developed a 21-35mm manual lens, which I believe was the first real wide-angle zoom lens. Then we developed an 18-35mm, then a 17-35mm, then a 15-35mm, and a 12-24mm. We've always developed wide-angle zoom lenses. Canon has broken our record! We need to refresh this product line. 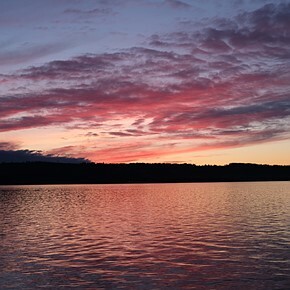 Many wide-angles don't accept filters because of their large front elements. Do you think this is an issue, or are filters becoming less relevant? No filters are important. We want to make lenses that accept filters, but physically it's very difficult. Because light comes in at very wide angles. But customers do still believe it's nice to have [the ability to use] a filter. 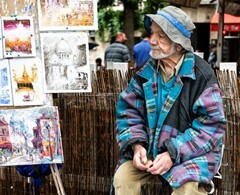 What are your customers asking you to do next in the Art-series lineup? The biggest request is for a 24-70mm F2.8. Then macro lenses, and also a wideangle zoom lens, something like a 14-24mm. Where do you think Sigma will be in ten years? It's very difficult to predict the future. But photography has a history of more than 100 years, so the market might shrink even more but enthusiasts will still exist in ten years. So Sigma will focus on those enthusiast and professional photographers and we will provide high quality lenses for those customers. We speak to Mr. Yamaki at every possible opportunity, because his insights into the industry - and his candor about the challenges that it faces - are rare in a senior executive. Partly this is because he is CEO of a rare type of company. Sigma is a family business, relatively small, and all of its lenses are made in a single factory in northern Japan, from materials mostly sourced domestically. Previously when we've spoken to Mr. Yamaki he has been quite open about his lack of interest in expanding his business beyond the point where it might outgrow the qualities that make it so special. I saw for myself his father's 'small office, big factory' philosophy in operation when I visited the Aizu factory a few days after we spoke at CP+. The practical advantage of a very localized supply chain is evident in the fact that the factory was able to return to limited production within only two days of the devastating earthquake that hit Japan in 2009. Companies with more complex supply chains struggled for much longer to return to normal operation. In many ways in fact, Sigma operates a bit like a luxury, boutique manufacturer. Except that some of its lenses are in such high demand that the company can't make them fast enough. We see no reason not to believe Mr. Yamaki's confident claim that his new 24mm F1.4 is the best lens of its type on the market, and at $849, it's likely to be in very high demand. 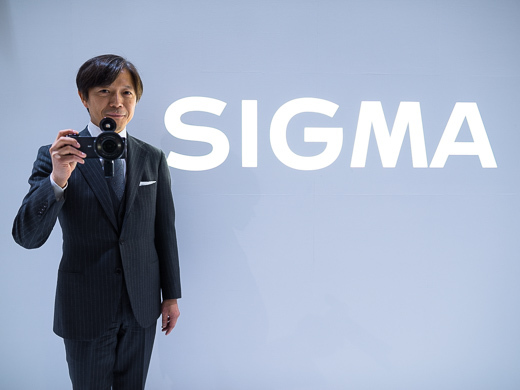 Assuming that Sigma continues to create and sell more lenses, will the need for increased production end up in conflict with Mr. Yamaki's desire to preserve the 'small office, big factory' philosophy? Only time will tell. We do know that Mr. Yamaki tends to take the long view. To be honest, we weren't surprised to learn that Sigma loses money on its camera business, but we were impressed at his reasons for continuing to pursue it. One of the strengths of the dp-series of compact cameras especially is their superb optical quality. It makes sense that the experience gained in creating these products feeds into the design of the company's interchangeable lenses. Likewise their sensors. Although Foveon sensors have never challenged conventional Bayer designs in mainstream use, their specific advantages are appreciated by a small number of loyal users, and - crucially - they form the heart of Sigma's 'A1' MTF testing machines. So what did we learn from this conversation? Firstly, that Sigma puts a lot of store in its core philosophy, which values engineering over administration (and indeed marketing). 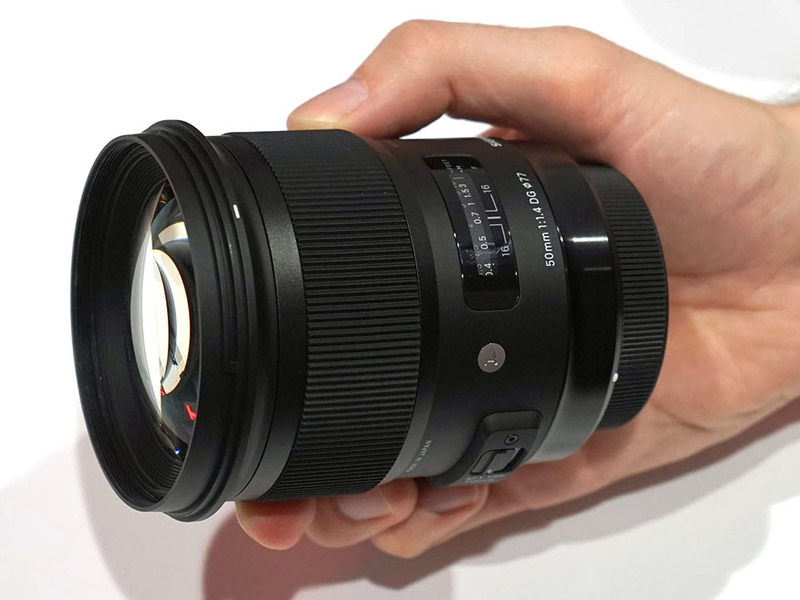 Secondly, that Sigma is continuing to focus more on producing high-quality lenses aimed at enthusiasts than on budget and OEM products. And specifically on unusual lenses which don't already exist in the market. Thirdly, we learned that Sigma is content to lose money on cameras for the sake of gaining knowledge that can be used to enhance its other, more profitable products. Finally, it seems like Mr. Yamaki is keen to challenge Tamron, Canon and Nikon in the standard and ultra-wide zoom categories. Canon's 11-24mm specifically has obviously got his attention, and hypothetically, an Art-series 10-20mm for full-frame would be quite something, wouldn't it? Note: This interview contained a mixture of on and off-record disclosures. As such, both questions and responses have been edited for clarity and readability where necessary. Fantastic interview! Your "editor's notes" are spot on! Mr. Yamaki - 85 1.4 Art. Please! Sigma has for a long time been my favourite photo related company. May they live long, make more fabulous lenses and prosper! Yamaki-san is a truly good ambassador for his company. Small office, big factory? FINALLY! A company that is being run CORRECTLY. Have all BIIIIG offices and when it come to cutting down they ALWAYS cut down in the factory and keep the office big & wasting money & they make everyone in the factory work until they almost drop dead. Most people there have already permanent damage to they're backs after ten years of work. Sigma keep doing the great work you are doing. And despite you not having the 18-35mm with an E-Mount I still plan to buy it & put it on an A6000 when I buy it. It's like a dream landscape combo. Where's the 85 1.4 ART? "mixture of on and off-record disclosures"
Does this mean that all is on-record for dpreview? Yes, I was thinking that - watch what you say around Barney and Rishi. Good journalism, though, lads. Question to dpReview: Are these interviews conducted in English, or through an interpreter? Reason for the ask - the answers read highly edited. Are these people (I include the Fuji bloke) so clear-headed, succinct and articulate, or are we reading a heavily edited version of the conversations parred down to the bones? Just curious. Of course these people are masters at sales and corporate spin, taken to subtle heights. The first rule of salesmanship is sell yourself first, then your product. These blokes have certainly succeeded in selling themselves. But due respect to them for placing such importance on good values, anyway. At some level it has to be genuine. 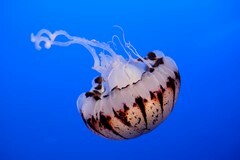 And it's interesting that the attitudes of the companies are so important for the buying decisions of we photographers. They're only lenses! Being competitive instead of trying to think "what are the bare minimum improvements that we could offer so that our customers will keep buying" is an incredible strategy. And it is working for Sigma. Big time. Their sales volume is nearly four times since their last non "Global Vision" release. I hope Nikon and Canon don't ignore this. In a way, their conservative view of the market is partly the reason why the market itself is shrinking. They still think that they are "too Big to Fail" and look what happened to the last Giant that said that. Thank your DPR and Yamaki-san for great, insightful interview. I deeply appreciate the honest, balanced tone of Sigma's CEO. He discusses challenges openly and while he promotes Sigma's strengths, the promotion is done in balanced way. This kind of communications works for me me far better than usual over-positive-superficial-slash-fake "marketing comms" where problems are brushed away with vague marketing mantras. Btw, just counted today, I own 5 Sigma lenses out of which two are the new Art series. Rest of my lenses are Canon L. Great work, Sigma! The more I read about Sigma, the more I really like this company. I have had very good experience with Sigma lenses on my Nikon cameras. I trust Sigma products as they deliver very good outcomes. (Sigma 10-20mm, Sigma 50-150mm, and Sigma 10,5mm). "...in making cameras, we're accumulating a lot of experience and technical knowledge which helps us make better optics. We have some of the sharpest cameras in the industry, which means that in order to support our cameras, we have to make really sharp lenses." Interesting to see that there is indeed a reason for the perplexing head-scratching cameras they bring to market, and it makes me love this company even more. Not too many companies out there are willing to sacrifice short-term profits in order to gain insights into how to make better products in the long run. Have a Sigma 60mm 2.8 that works well on my GX7. Would like to see more ultra wide lenses for m4/3rds. One of the few CEOs who really have a vision, not just fast shareholdervalue. The biggest homage is for me to buy their products. And I do. The way the market has been trending (i.e. I think the days of mainstream super-zooms providing the most 'success' is trending down), and the amount of time, floor space, and resources required to build any lenses, and effects of market saturation in a premium/enthusiast market, I think its become like a chess game. Tamron has done similarly as well as Sigma IMO, but the piece de resistance is the Sigma 35mm 1.4. Cheaper, attractive, similarly sized, but showing just how out of date and overpriced the Canonikon versions were. I don't think either Sigma and Tamron will easily have another opportunity to 'outclass' Canikon lenses like the 35mm 1.4's. I also worry about what foul play in 'enhancements' either Canikon produces in their AF firmware to attempt to continue to trip up 3rd party lenses especially since I don't remembert 3rd party lenses having as good a reputation as they do this day. IMO if it wasn't for Sigma/Tamron I would have zero interest in FF DSLRs. It's part of normal process for Camera mfrs to improve their cameras and thanks to modern day digital cameras, we usually get free FW upgrade rather replacing the entire camera. It's always a risk buying 3rd party lens in this respect and you can't faulty camera mfrs for improving or changing their firmware. People use Canon/Nikon gear for commercial use and the last thing Canon or Nikon would worry is about 3rd party lens compatibility rather than making sure all of their current compatible lens can continue working with the new FW. Hi DPR, it wouldn't hurt if you add some Sigma DP's in the comparison tool. No reviews, just that only. Why not reviews? I'm REALLY INTERESTED in a QuattroReview!! Feels like we were in the room with the two of you...and he was just telling us about his business...very refreshing...and refreshing to read everyone's positive responses. 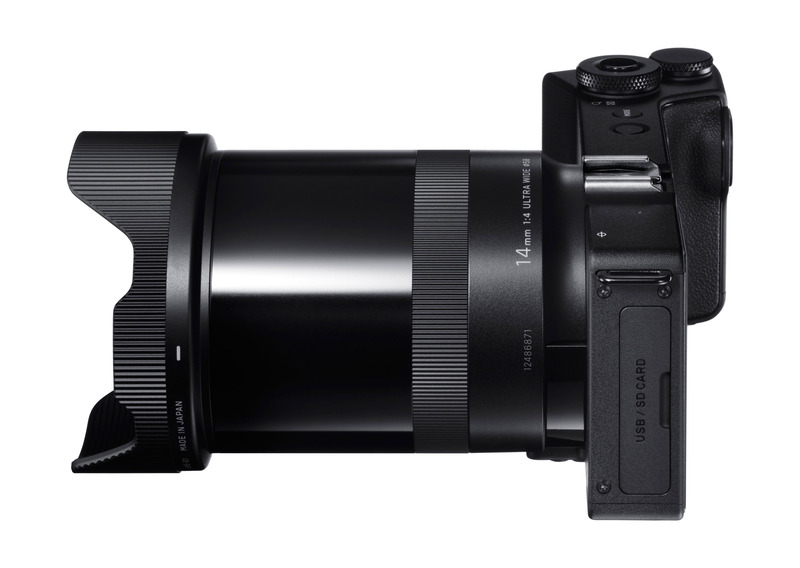 It was nice to hear that Sigma may jump into the Sony FE mount market sometime soon. The art lenses on Sony FE mount would be incredible!! Interesting interview and an 'open' inside on 'how we do it at Sigma' Of course part of the marketing but the openness is surprising to me at least. I've tested the 35mm f/1.4 of Sigma against the Nikon and it's indeed an excellent lens which can compete well. Am I the only one who is dreaming of working in such a company? A place where the actual producers (engineers in this case) outweigh the spin doctors? I really love this guy. Throw in his sense of responsibility toward his employees (from a previous interview) and it's hard not to. So thank you Mr. Yamaki. Thank you for being you and most definitely thank you for your amazing lenses. Too bad companies such as Sigma do not open production in USA (more people would buy made in USA lenses, and Sigma would not have the exchange rate issues). Kodak has a mile of empty buildings in Rochester, NY (and has the workforce - experienced and new college grads). Too many ghosts in those buildings. 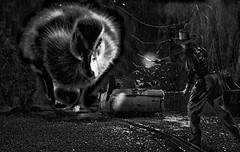 Gremlins would invade the software, and when you returned the lenses because they didn't work, Sigak would charge you to upgrade to one that worked, then the unions would go slow and you wouldn't get the revised version anyway, and when you went back to complain, you'd find the board had skipped with the profits and a new CEO would be restructuring them to cut costs by selling off the lens division to a Brazilian startup. No Sigma, stay out of Rochester, you're doing it in Aizu the way it should be done. I doubt USA would be competitive place for manufacturing in the area of DSLR optics... You just lack the punctuality and relentless focus on quality in manufacturing (thinking of Detroit here). revered, whereas here it's considered a personality fault. What's really odd is when a person is somewhat sloppy in their own work, yet buy Toyota products for their quality (why else would someone buy such boring cars!). Many people don't make the connection between attention to detail and quality. My father fought the bean counters in the early 1980's at GTE-Sylvania. Japanese TVs were making inroads due to superior quality, not better performance. One capacitor had a high failure rate but the accountants wouldn't buy a better one. The Japanese used a capacitor rated for 2-3x higher voltage whereas ours was rated just barely high enough. He warned them they'd lose their reputation if quality didn't improve, and sure enough, "Sylvania" is associated with the cheapest junk nowadays...same as happened to the big 3. Lots of knuckleheads still buy Nissan for example thinking they are high quality even though GM and Ford make better cars. Toyota still reigns for quality, if you buy cars based on that one and only one parameter... One think I like about some European countries is that they buy cars based on what they like - not based 95% on quality ratings. Maybe in 10-30 years Americans will finally realize that almost all new cars have so few issues that you might as well consider all of them to be perfect. I surmise because even those with good incomes spend every penny they make, so they can't afford to fix their cars! When I started in the photo & graphic arts industries ('70's), Sigma had a poor reputation for making low quality lenses, and Kodak was the industry leader. Now look. You can't attribute that to the workers. Sigma workers are obviously pretty good (they took two goes at correcting my faulty 120-300 lens year before last, but they got it right after its second trip back to Japan). So were Kodak workers. Not only were their materials world class, but even their teaching aids, which were the bible for a young apprentice, showed meticulous attention to detail. Their process and systems innovations led the world. We forget how much even Japan owes good old American knowhow (I'm not American, by the way). Even in the digital age, speaking personally, I had 2 dud Nikons and a dud Canon at the start of my digital photography. I bought a Kodak and not only was it the most reliable DSLR I owned, it also had the best image quality and colour fidelity. I built my digital career with that camera. When Kodak folded it had the biggest digital finishing network in the world and that year sold about 2.7 million digital cameras. The workers were doing their jobs well. So what's the difference? Maybe it’s that Sigma is a family company and Mr Yamaki, who makes repeated honoured references to his father, naturally has the company's best interests at heart. Contrast that with the corporate world, in which CEO's and board members are in it for whatever they can get out of it. Corporate culture and its self-serving management or a family culture of responsibility – either way, it's not the workers, gov. Kodak made good digital cameras...almost bought one instead of my Oly C3000. Kept falling behind after that however. They always had too much "fat" (management - top heavy). In the film days, they made huge profits and did not need to be efficient. They had 60,000 workers in Rochester, NY!!! Now they have 2000? My father's company (GTE-Sylvania in Batavia, NY) worked with them on a project (prototype) to display slides on televisions (had to be before 1982 - his plant shut down and he retired in 1982). He was amazed at how "fat" Kodak was (and I doubt my dad's company was very lean, but Kodak was much worse). How about an 85mm prime ART lens? 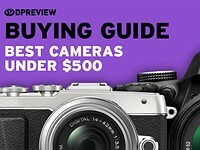 EDIT: now I see they indirectly answered the question: "DSLRs first, particularly Canon and Nikon, since most of our customers use those systems. And after that mirrorless. Sony FE-mount. " I wonder how they can asses the number of customers if they don't even have any X or NX mount glass? Maybe he just follows the sales numbers for cameras. And then, based on his experience and "gut feeling" try to predict how many % of that user base would actually buy their lenses. I'm not a Canikon user, but I can't blame Sigma for focusing on those two mounts. Don't forget that a Fuji user (a typical photo geek / enthusiast) is much-much more likely to purchase additional glass than a typical Canikon soccer mom (people that only purchase Canikon because their neighbour also has a Canikon). That is, camera sales can't necessarily projected into future lens sales. I'd more than happy to purchase at least one f/2.8 ART lense and the 8-16 for the X mount if it was available. I assure you that the number of photo-geek / enthusiast (not no mention pros) who use canikons (that is mid-high end APSC & FF bodies) is much, much bigger than of Fuji-X users. Tamron took about 2 years to recycle their 18-200 design for NEXes into MFT and EOS-M. I suspect when Sigma estimate the market is large enough, they'll expand into it. Hard sell when the 'ideal type' of a Fuji buyer isn't the kind to buy cheap slow lenses. I think it's more likely they'll give Samsung an offering before Fuji. Also, let's not forget one thing: Canon and Nikon mounts are already solid, estabilished mounts. They don't seem to go away anywhere soon. Meanwhile, new mounts like E-mount, NX mount or X mount, how long are they going to last? We are not sure yet. Sigma is not sure yet. They are very clear about having limited resources and have to prioritise not the main mounts, but the ones they know will last for longer. "I assure you that the number of photo-geek / enthusiast (not no mention pros) who use canikons (that is mid-high end APSC & FF bodies) is much, much bigger than of Fuji-X users." I know. I just dared to point out that a very sizable percentage of Canikon DSLR's are soccer moms, while Fuji has a much more determined userbase. It's the latter that is ready to purchase additional glass, not soccer moms. "They are very clear about having limited resources and have to prioritise not the main mounts, but the ones they know will last for longer." I'd even purchase a fully manual version of the 8-16. (On a non-Sony E-mount device, it's only possible to control the aperture if you purchase the Nikon mount version and use an adapter with an aperture ring. A very clumsy solution.) That is, I don't even demand a full redesign for the significantly shorter flange distance of NX / X / E MILC's. This means producing such a version of the 8-16 for MILC mounts wouldn't cost much money. Menneisyys, what i said is that the enthusiasts and pros use high(er) end bodies. And you don't have to compare all canon bodies vs fuji... just high end canon bodies and fuji bodies. "Soccer moms" (God, i hate this term) that use canikons just use entry level bodies. I would not go to advice Sigma on how to run their business. They know what they are doing. I personally think Fuji is the best MLC system, but it also has good lenses from Fuji so maybe the opportunity is smaller. In my view, Sigma's key market insight was the growth of semi-pro segment and how they understood that this segment will trade lens size for better image quality. Sigma's lenses are quite sizeable so Image quality does not come without cost. I am happy to make that trade-off since DSLR is not small in the first place. This lens product strategy is in direct conflict with MLC cameras though where the small size is one of the key selling points. "Menneisyys, what i said is that the enthusiasts and pros use high(er) end bodies." Regardless whether their products are for you, it's in general a pleasure to listen to these japanese CEOs. Informative, clear, personal, respectful, humble... How different from the "We know everything and attack or make fun of things we don't like" of the West. All I want are some F1.8 speed 24 & 35mm E mount primes for ~$500 a pop. I think that is possible, no? FE mount lenses can be used on APS-C of course. Why would they start with a limited market mostly made of kit lens buyers first, instead of the high end market that potentially envelopes APS-C? I think there are a lot of APS-C shooters who want more, but don't want to change systems to get better lenses. Plus the smaller the FL the bigger the differences in lens design for APS-C vs FF. People buy their 19 and 30mm 2.8s despite them being pretty slow... I think more standard equivalent FLs and F/2 speed would move. "FE mount lenses can be used on APS-C of course. 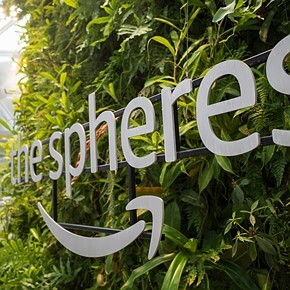 Why would they start with a limited market mostly made of kit lens buyers first, instead of the high end market that potentially envelopes APS-C?" Well, Sony's own FF bodies still can't match for example the A6000/A5100 WRT autofocus speed. That is, more advanced photog's wanting to shoot action (with a Sony) not necessarily prefer FF's to the best APS-C bodies. I'd like to think that the a6000 alone has solidified the existence of a decent market for APS-C E-Mount. The trick at that point would be to provide better value for both sizes. For example, if they could provide a 10-20 FE Lens for a price competitive with (or ideally undercutting) the 10-18F4, it would be a win for both APS-C and FF E-Mount users. Focusing on primes and zooms that would have value for both segments would be their best bet for mass adoption. But, that isn't necessarily what they want to do; Sigma themselves claim they would rather sell 'high end' than 'high volume' from a business sense. The smaller the FL, the bigger the difference in design requirements for FF vs APS-C. So there's no way they could make a 10-20 FE lens that could compete on price with something like the EF-M 11-22. 11-22 APS-C is 16-33 on FF. They have to develop the APS-C lenses in isolation on the wide end. "They're not a huge group but we know what our customers want, and the dp0 is a perfect camera for them." Dear Sigma. I own 5 (have owned one more) Sigma cameras and the DP0Q is not what I want. I want a functioning Sigma Photo Pro. When you have fixed that we can start talking about hardware. i have to admit that Sigma is innovative and producing very good quality aft affordable prices. 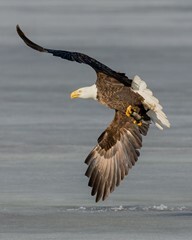 My 17-50 DX lens is a stellar performer! Sigma and Carl Zeiss need to force Nikon and Canon to open their autofocus patents or drop them stone cold. Many people have a bad experience with Sigma autofocus and never buy one again. I remember Carl Zeiss ranting about it a few years ago when a person asked why none of their lenses for Nikon autofocus. Their response was one of anger with Nikon and Canon, Nikon and Canon refuse to let any other manufacturer use their autofucs system. Sigma and Car Zeiss should make it clear to Nikon and Canon and they're not the ones with dropping sales and losses. Nikon and Canon are more irrelevant every day and Sigma and Carl Zeiss have many other avenues and OEM who aren't stupid and who do allow them to access their autofocus system. Carl Zeiss has a lot of experience designing auto focus lenses for the Contax and Sony systems. This requires a close working relationship with the camera company and permission to interface with their electronics and AF systems. To date, we have not had permission to offer this feature with our ZF lens series." The new Sigma Art lenses focus spectacularly well on our D810, 1D X, etc. Both in terms of precision and tracking. Save for a fluke copy we had. I wonder how much if this is impression is because of not bothering to microadjust. IIRC, the Japanese optical industry has decided NOT to license patents to anybody outside Japan after some lost legal battle (about autofocus, I believe) with some US corporation. This leaves Sigma building AF lenses while Zeiss and Samyang don't. Good memory. It was Minolta vs Honeywell in late 80s. Not only was Minolta charged $127M for their AF patents (a key event leading up to their exit from the camera market), Canon, Nikon, Olympus and Pentax all ended up having to pay tens of millions of dollars each as well. The Japanese optic companies became very protective of their intellectual property subsequent to this collective disaster. tl;dr--if you Americans think Canikon are being assholes about their intellectual property, you have no one but your own countrymen to blame. You are talking some old lenses: "Many people have a bad experience with Sigma autofocus and never buy one again." The new Sigma's focus really well. There is some delta still to vendor lenses, but that is minimal to my experience. In general, I am not complaining about Sigma AF. Rishi, I don't share the same opinion. not all Sigma lens can be adjusted. I had a bad experience with the 18-35mm lens with my 7D2. I couldn't get the lens adjusted and even tried a 2nd copy. The techs in the store tried and they could not get the AF accuracy. End up returning the lens. Sigma is reverse engineering their lens solutions. Don't think they can reverse engineer the Canon algo plus accommodate changes with newer body AF system. If you are only doing MF, it's lower risk but if you need good AF... test the lens and be prepared to return the lens if it's not satisfactory. They love optics above all, it seems. Nice read. Samples tell us 24 Art bokeh can be very jittery. I don’t say it lightly, I am not any of the bokeh fanatics or a Sigma basher and I am very happy with 50 Art and 60 Art in this particular respect. The point is that while this is absolutely OK with some, say, (14-) 24/4 lens the purpose of f1.4 lens fills also different roles where this is a consideration. I wish they take it into account with such fast lenses including UWAs and avoid rendition that really can be distracting and limiting for certain uses. (As distanced from the character; most people will agree on the difference - my Touit 32 can have unpleasant jittery bokeh @f1.8, it changes to character I love @f2.2, I could go on). No it is not a disaster but it makes the potential of the lens less versatile. Not that the standards are not high but thank you for the most interesting article. 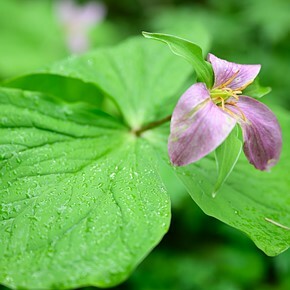 I looked at several sample photos taken with the 24mm. I can't see what you are talking about. The bokeh looks great to me. Have a closer look at these samples. I will link the discussion where we were debating the 24 Art. It's from Dpreview’s set. Sometimes people get nitpicky over nothing. Just because it's not important to Conrad567 doesn't mean it's not important to others; it only means Conrad is a pompous self-serving egotist. And just because you care and Conrad doesn't.... There is nothing there. Just because I don't spend my life complaining doesn't make me an egotist. In fact maybe the petulant complainers always seeing something wrong are the egotist. The samples I looked at were fantastic. Calling others who value other lens characteristics "the petulant complainers " only confirms Conrad as a pompous self-serving egotist, with a mental horizon of radius zero. Oh...Poor JEF I must have hurt your little feelings.... I suspect you have other problems in life to get this outraged all the time. Have a good day little man. Disagree about the bokeh. Have you seen the Canon 24L? It's (subjectively) significantly worse. The Art on the other hand is very smooth, with no fringing in OOF highlights. I have a feeling that part of the appearance of business has to do with the focal length - i.e. 24mm bokeh will always appear slightly more distracting than 50mm bokeh. But I'll have to let someone more knowledgeable than I in this regard chime in. The appeal (or not) of the bokeh remains to be seen, but it is an important quality to many users, to others or other areas of usage it is not. This is what self-centred egotists like Conrad are missing, choice is good; thank goodness lens makers are putting forth different lens design choices at the same focal length. Once again Conrad refuses to leave the confines of his tiny mind & appreciate that others have different needs than his; to add insult to injury he pours derision and insult on those same people. Choice is good, once again a point missed by the self-centred egotist Conrad567. Thank goodness different lens manufacturers are brave enough to produce lens designs of similar focal length but with different priorities in lens design; end users can choose which lens (of the same focal length) suits their needs best. Normally I'm nick picker myself but I second Rishi's statement. I have bought and desperately wanted to love my Canon 24L but the bohek characteristics bothered me a lot so I returned it. However the Sigma sample looks much better. Very promising IMHO. OK guys, we come from various brands, you certainly have a point. Nikon has spoilt us maybe a bit more here (not always). 20/1.8G seems to have clearly struck a better balance. And 24/1.4G simply is a different lens - which does translate to having options as a good thing. Btw, and despite the first samples, it’s still early days. Choice is always good, deriding people who prefer different lens characteristics, as Solar Eagle (alter-ego for Conrad is doing here) is close-mindedly egotistical.....and ignorant. JF you are like a broken record. Petty little man, don't you have some woman you like to beat up on...probably left you so now you try to bully people from behind your computer. Or maybe your boyfriend likes to beat you up so you take out that penned up aggression on trivial blogs. Either way grow up! YOU ARE THE ONE that can't stand someone having a different opinion, YOU ARE THE EGOTIST. I can't spell it out any clearer than that. But alas you feel real tough hiding behind your computer in your mom's basement...and lets face it. Your opinion doesn't matter because I guarantee you can't afford this lens anyway. Petty little children NEVER CAN. It's been a good laugh, one I have shared with about everyone I know...but I have grown tired of arguing with STUPIDITY and so I am moving on. Conrad, you've been given a chance to comprehend what was written time & again; so no more pitiful excuses from you anymore. You're just being close-minded & refuse to accept others may have different priorities when choosing a lens. Different lens design choices can only serve to enrich our arsenal that aids in the creative process, which is for eg. why I own both the Leica 100APO (leitaxed) as well as the ZF100. Both have their place. Sometimes I use my ZF50MP, sometimes my Ai-version Noct, sometimes my Leica 60mm (leitaxed), all have their characteristics. Different people may need different lens designs (of the same focal length), but then little Conrad is too much of an egotist to comprehend that. Busier background might be good for some shots. Kinda works like extra dof ?? But it's not good if the background is trees. I see today Sigma as an premium brand! My Sigma 70mm Macro is stunning, also my 35mm -50mm -24-105mm ART is great lenses. The same for a 24-70/2. Just look carefully what numbers to break. You will never break them all and although the size/weight may not nearly be the priority it still remains a practical part of the product’s properties as does the general sense of a lens spec in practical terms. Thanks for the Interview, it is very good to get a deeper insight into what kind of a company Sigma is. I learned many things from the Interview that I did not know before. Thank You. I plan to buy one or two of Sigma's lenses. I consider the USB dock to be a key advantage. I think you forgot to mention that Sigma offers a mount conversion service. This is of huge value, all Sigma lenses should participate in that offering. 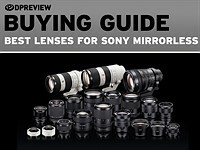 I found the part about how Sigma has been using Computers for lens design particularly interesting. Good thing that 'Moore's Law' is affecting lens design at Sigma. I am very confused about the Sigma Foveon Sensor, is it better or not? Why? What about BSI? Finally I feel though, that it is not enough to produce good hardware, software is also of primary importance. If everybody depends on Adobe to render their final images, then that is not a good situation. There are very good open source packages for image rendering that need to get some key support. The Sigma Foveon Sensor is better in that each pixel has full color information and no interpolation so you get a per pixel sharpness that is missing from a regular bayer sensor. This makes it really good at testing a lens as it will show the flaws and lack of sharpness pretty quickly, the apcs 14.7mp Merrill chip can almost resolve as much detail as a 35mm 36mp bayer chip. As for better or not, it all depends on what your using it for. I love my Sigma cameras for low iso and studio work and only pull out my pentax when I need to shoot over iso 800. Like many said here, refreshing answers ! So simply honest. We need to have more of such guys in companies. "Their new 24mm 1.4 is the best lens on the market" is some claim. Anybody know how it actually compares to the Nikkor? Incredible interview. Great questions to a great man. Love his responses. The guy's a gem. A complete joy to read, thank you Yamaki san! The DP Merrill line of cameras are probably the greatest value cameras of all time. They now sell for about £350 yet produce images that are almost medium format in quality. Experts have said only the D800E challenges them before you get into the realm of medium format. I have all the DPMs and when the light is right, or you use a tripod, the quality is astonishing. I smile with pleasure every time I open a Foveon file - they are so sharp, rich and colourful straight from the camera. 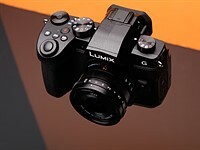 And yet they are tiny, compact camera in size (not the DP3M) and only cost £350!! Best value cameras ever. I have to agree.. every time I open a Merrill file on my screen I too get a smile on my face. Just curious, where can you buy them for that price? Just google Sigma Merrill and hit sales and you will see a few shops pop up with them for £330. Just to clarify, are we talking about the DP1,2 or 3? I see some offers for all 3.. I got mine from Clifton Cameras and they arrived within a day or 2. They are very slow, a headache to use and very niche cameras - do not buy them expecting to take handheld indoor shots of your kids playing, but then again you wouldn't buy a Hasselblad for that either. These cameras work for fine art, still portraits, architecture and landscapes or anything else static with lots of fine detail. But the images totally outweigh all the cons. It depends on the focal length you want and would use more often as all three camera's are the same. The DP1 has a 19mm f2.8 lens, DP2 is 30mm f2.8 and the DP3 has the 50mm macro. The DP1 and DP3 makes a great combo, but if I was only going to buy one then the DP2 could be a better bet unless your buying one for a specific need (I bought the dp3m first for studio work). I think the DP3m has the best lens of the three (super sharp wide open corner to corner) but even the DP1m which people say has the weaker lens is still very good and I love it. Foveon can work very well in low light when converted to B&W in Sigma Photo Pro - especially when using only the blue channel. A very pleasant and informative read - in short, an excellent interview. Yamaki-san clearly has the vision of a true leader, with feeling for the market and customer-focus. The man simply sees it sharp: very sharp. A breath of fresh air, such a outspoken and honest CEO. Companies like that have my respect and sympathy, and get my business. First of all a big thank you for the interview and also a huge thank you to Yamaki-san! He mentioned that most customers ask for either wide angle or wide angle zooms. This is surprising for me, as I know several people who where waiting for the announcement or release of a 85mm 1.4 ART or similar. Having used the 50mm on a crop sensor, the portrait abilities are nothing short of "Out of this world". I think a portrait lens in the future line-up with the qualities of the 50, 35mm Art would blow Canon, Nikon and maybe even Zeiss out of the water! I have all Art lenses 35mm, 50mm and 24-105. Waiting for 24mm. my wish is art series 135mm f/2.0 OS or better, without macro. 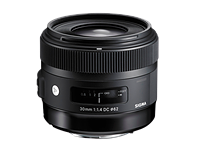 Sigma should make a 20-50mm f2.8 full-frame lens and a 10-20mm f2.8 full-frame lens, to go with their 50-150mm f2.8 OS lens, which they should update to an S model. In fact, all three should be produced as S models. Then they should make two long, f2.8 OS primes in the S range too - a 200mm f2.8 OS S and a 300mm f2.8 OS S.
Give us the FE lenses ! I wonder why they don't build more lenses with weather sealing. Will that lead to a decisive price increase? What do you think? Interesting the engineers are standing at their workstations. "We want to see class-leading products with our name on them"
"We're so passionate about photography, we even make a camera that loses money. And we're not going to stop doing that, because we love to satisfy our loyal customers"
"We value craftsmanship over management, engineering over marketing"
I love this guy he's awesome. He should be their sole source of marketing strategy. Their ad agency should point a mic at that guy, record it, and play it over and over again to themselves until they've completely understood what he's saying. My future lens purchases will be from Sigma as much as possible. I agree, If more company's in the world were run by people like him it would be a much better place to be. I happily buy sigma lenses for a long time and all of them served me well, but the new Art lenses are absolutely fantastic.